Life of an Icecream Pocky: BRRRRR! Gosh! Why must it be so cold freezing outside? I had to wait for 20 minutes outside since the bus was late and when I couldn't take it anymore, I marched straight back to my warm house. My face was soo red and my hands were numb that I had to do 40 jumping jacks just to make it go away. I guess I should listen to Ms. Katie from now on and start wearing gloves and a scarf. LESSON LEARNED! Well anyways, we had the exam today and remember my last post (look below), I was freaking out for no reason. The exam was very easy and I did get an expository prompt. Hooray! Since I was done before the time was up, I decided to write down the prompt I recieved in my notebook of randomness and post it up here. Think of the ways the money could be used in your community. Write a letter to the family who is donating the money. Explain how the money would be used for one large project or several smaller project. That means no more writing two of my most hated forms of writing...expository and persuasive for the rest of the year! Another alone celebration Woohoo! Also, that means I can start doing requests for graphics, maybe layouts, one-shots, and drabbles. What a good day! 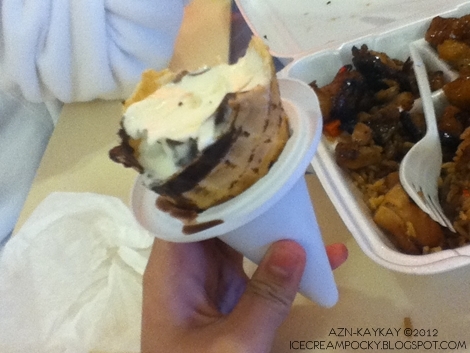 After I got my braces changed, we went to the mall and ate there. Although, there wasn't much people since most kids are still at school. I'm such a money waster because I didn't finish the ice cream and that was one expensive ice cream. 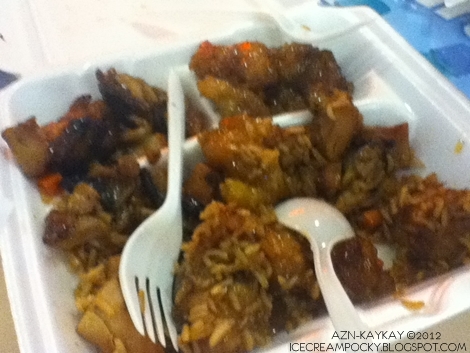 We also bought orange and sesame chicken. 잘먹었습니다! I got a new haircut afterwards. I still look the same though and you probably can't tell the difference.